A native of Myanmar’s infamous mining town began Mogok Inklings. Like most children, she played in the dirt, but unlike most, among the rocks and pebbles in her yard, the earth yielded fragments of rubies and semi-precious stones. Ironically, Mogok's underground riches, do not afford hopeful livelihoods or opportunities for its inhabitants. Consequently, the town's young population has been drawn away by the empty, better-life promises beckoning from the Thai and Chinese borders. Fueled by faith that has grown since her childhood, the now grown-up little girl acted on the idea of creating homegrown jobs using the smaller gemstones cast aside in the greed of the mining industry. 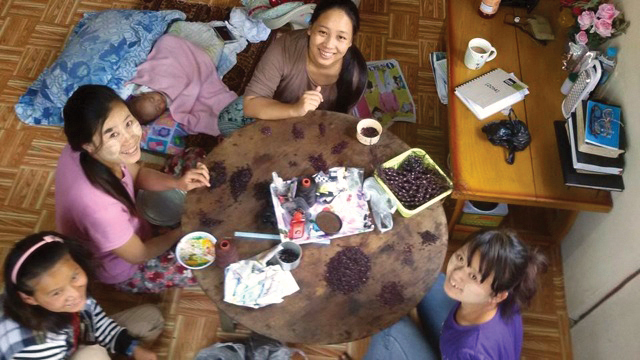 Mogok Inklings now employs young people striving to finish school, and seeks to share hope with the artisans. 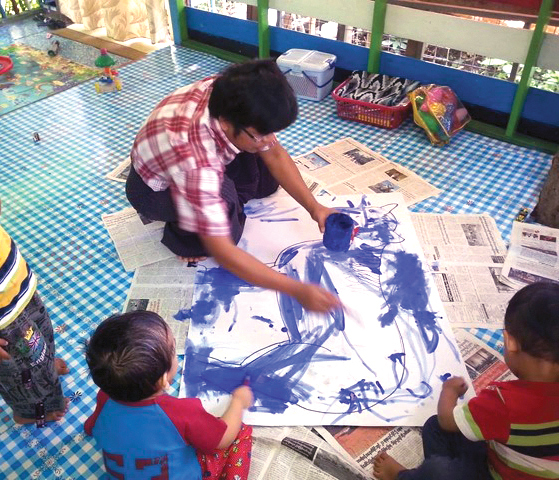 Tucked in a working-poor neighborhood in Myanmar's largest city is a fledgling home-based preschool. One family's desire to serve their surrounding Buddhist neighbors compelled them to leave meager but steady employment and rely on the practical help of friends and uncertain funds. Enter S.A.L.T. (Salt and Light Trading), whose hand-stitched products now support the day-to-day operations of the preschool, which teaches children about their Creator and provides otherwise inaccessible early childhood education to eager families.